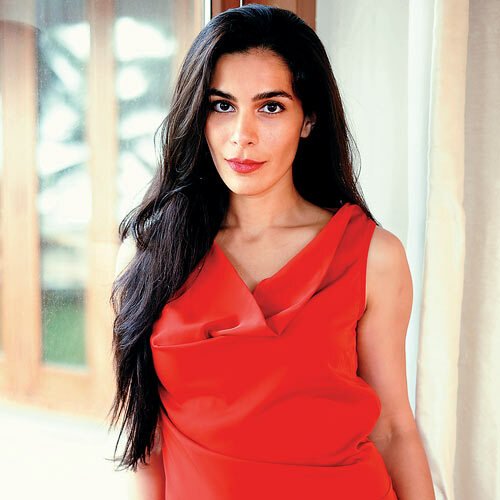 Namrata Baruwa Shroff’s sprawling bungalow overlooking the ocean nestled in Juhu is a metaphor for her love for all things beautiful, minimal and elegant. Be it the breezily done-up lawn or the exquisitely designed living room where she entertains her guests in style every element reflects her penchant for the dynamism of design. Shroff lives a hectic life but manages to juggle through different spheres without skipping a beat. She’s just finished a playroom, a club and has designed an entire collection for furniture fair called Index which will be held on November 14 this year. “It is an Indian equivalent to Milan furniture fare,” informs the interior designer. Namrata was born in a family of architects. “Architecture is what I studied and also interior design. I also enjoy studying people. Both my parents being architects, certainly drew me into this endless world. I am their architecture,” says she with a smile. “When you’re involved with design be it fashion or space it percolates into every sphere. As much as I love fashion, I don’t follow fashion. I have always believed that fashion is something you buy but style is something you possess. I don’t follow trends,” she adds. When Namrata started designing, she was very rigid about her likeness for minimalism. However, over the past few years, her taste has evolved and she has nurtured a non-conformist style of design. “Broadly speaking, my sense of design ranges from modern to industrial chic. I have also incorporated art deco into my design vocabulary. One always wants to design things which have never been designed before and there are moments of mental block. I think the environment around me gives me design ideas. I think the best time when I get ideas is between four to seven in the morning. I don’t usually wake up that early except for the times when I’m jetlagged,” she says breaking into a peel of laughter. Namrata adds, “I think I compartmentalise my life which is the base of making everything. “Fashion is something which you can buy, but style is what you must possess and this is true for design in every form, whether it’s fashion, decor, architecture or photography. I like structured fashion and not drawn to much embellishments. “My fave Indian designers are Gaurav Gupta , Ramona and Monisha Jaisingh. Internationally I enjoy wearing Chanel, Issey Miyake , Corto Moltedo , Diane Von Furstenburg,” she adds. She follows ‘fashion follows foot ‘ thumb rule for her look. “I first choose my shoes. I have quite a shoe fetish and then the rest follows,” she signs off.